And goats, dogs, cats, chickens, pigs, sheep, cows, donkeys, llamas, tigers, even elephants. And small gardens, large farm crops, pastures and hay fields. This is terrific news indeed! 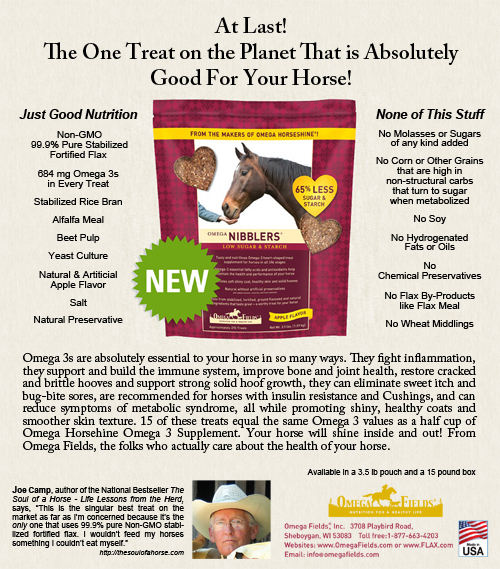 Youngevity’s 70+ essential plant-derived colloidal minerals are now certified for horses! And every other animal. The very same essential plant-derived minerals that our own bodies need in order to function as they are genetically designed to function. Two-time Nobel Prize winning scientist Linus Pauling said “Every sickness, every ailment, every disease can be traced to a mineral deficiency.” In other words when I give my body and my horse’s body and my dog’s body and our garden what they all genetically need – but are no longer getting – those bodies and soils can do amazing things. They can heal themselves. Dr. Joel Wallach, founder of Youngevity, has been researching this for most of his adult life. First as a clinical research vet and pathologist, then as a naturopathic physician. He has removed over 900 diseases of exotic animals in zoos by putting these minerals back into their foods. He is a major contributor to thirteen books including the famous Diseases of Exotic Animals which is in The Smithsonian Institute, and on their recommended reading list, and is used by leading veterinary schools. In short he’s the real deal, and his Youngevity – 90 For Life Program is as well. For humans… and now for horses. Yippee! Mine are getting it. 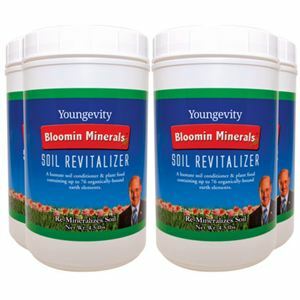 Bloomin Minerals was originally packaged to revitalize garden and farming soils so your veggies would be bigger, juicier, with better taste, and have all the 71 essential minerals and trace minerals built in. And it does a fantastic job, but over the years farmers began wonder, I need these minerals for myself, the plants need them, why wouldn’t my horses need them, and my goats, and my cattle, even my chickens. And these “wonderings” turned into amazing success stories. So the company said let’s get Bloomin Minerals certified for animals. And they did. Blooming Minerals is now approved and certified by the Organic Materials Review Institute for use with horses and other animals. And, effectively, they were tested by humans because they are the exact same minerals, in the exact same form, from the exact same source that we take in Youngevity’s Ultimate Mineral Caps, Liquid Plant Derived Minerals, and other mineral products. Nothing added, nothing taken away. Except flavoring that we wimpy humans need in the liquid versions. Blooming Minerals contains 100% natural humate prehistoric plant minerals no longer found in farm and range soils and contains no added binders or fillers. And they’re now available for your horse, your dogs and cats, and all animals, and all gardens and crops. The above photo is far and away the best lettuce we’ve ever grown in our raised bed garden. 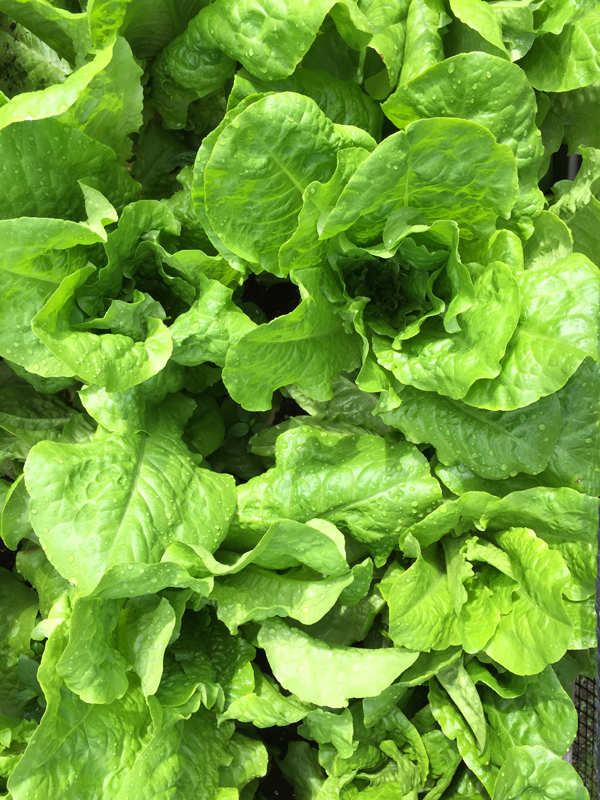 And over the 3-4 weeks, before this photo was taken, Kathleen had picked 6 or 7 full lettuce hampers from these plants (we eat a LOT of salad). Every morning-after the plants looked as if they had never been picked. Simply amazing. And sooo tasty. Vivid proof that all our soils, horses, chickens, cows, goats, sheep and ourselves need is to have those missing essential minerals replaced and everything gets better. Next – tomatoes that sink! I only recently learned that if you put a tomato in a full sink of water and it floats it is woefully deficient in minerals, nutrients and taste. If it sinks it’s loaded up with those minerals, nutrients, and taste. Now every time Kathleen comes home from the supermarket I race to grab a tomato and fill the sink with water. And never once has any of them gone to the bottom. They all float. Every one. Totally empty. I cannot wait for our first garden tomato of the year, all growing with the help of Bloomin Minerals. I’ll keep you posted. I know, I know. When I get excited about something I can’t ever slow down, much less shut up. Kathleen says I am a living, breathing information overload :). So I’m going to try to leave it here with links to the details if you want more. First, what is humic shale? Where does it come from and why is it better than any other source for minerals on the planet? It’s a fascinating story. 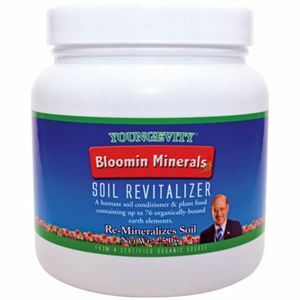 Click here to read about Youngevity’s Humic Shale Mine in Utah. Next, why are these minerals so important to us and every living mammal? 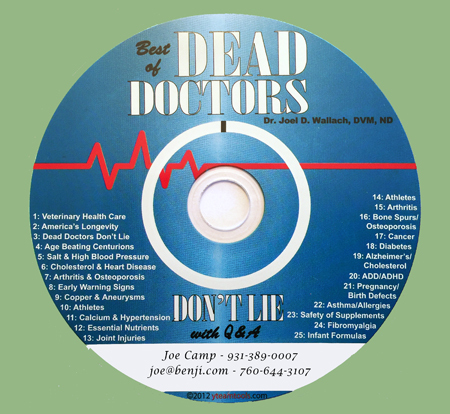 And why did Dr. Joel Wallach spend over 45 years, first as a clinical research veterinarian and pathologist, then as a naturopathic physician discovering the facts about how our bodies are genetically designed to have access to these minerals. Click here for Why Minerals. The recommended feeding is one cup per 500-700 pounds daily. See our Feeding Guide for any animal and read about our experiences with horses and dogs and lettuce so far. Click Feeding Guide. 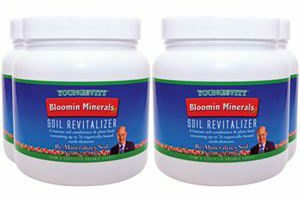 The Liquid Bloomin Minerals contains humic acid and is not to be fed or used on edible plants or grasses. 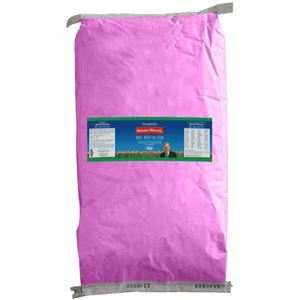 For lawns, trees, flowers, etc. 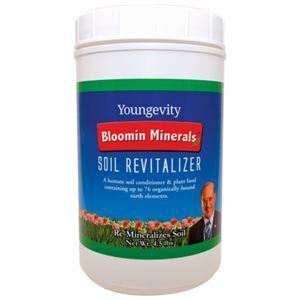 Youngevity’s Enhanced Fulvic Minerals can be fed and used on edible plants, but it only comes in 55 gallon drums. Email me for pricing. More than two hundred million copies of this CD have been sold! Hear Dr. Wallach talk about his research with animals as a clinical research vet before becoming a naturopathic physician where he continued his research with humans. His message could well be the most important thing you’ve ever encountered regarding your horse’s health and longevity, and that of your own. We are a distributor for Bloomin Minerals and all Youngevity products because I respect Dr. Wallach and the research he has done so much. And because I know from personal experience that these products deliver everything promised. I’m 78. I had two painfully arthritic knees, one of them bone-on-bone and begging for surgery; and I have rotator cuff tears in both shoulders. Kathleen and I began the program in April of 2015 and after four months I was pain free in both knees and both shoulders. I went off all cholesterol meds. No more statins. Yay! And I feel better, healthier than I have in years. I have more energy. Much more positive attitude. I sleep better. I sing to the horses (who are hopefully tone deaf). And my vision has improved. In my entire life I’ve never driven without glasses. But I do now. Dr. Wallach says, “I love folks with arthritis because it’s so easy to fix. And we regularly take people off Type 2 Diabetes medication, blood pressure medication, reflux and digestive meds, and all sorts of other once-considered chronic or genetic illnesses.” And the foundation for it all are these 70+ minerals in nature’s balance from Youngevity’s own humic shale mine in Utah. Thanks so much for this doc. You will soon be loving the stories from the horse world as well. As Doc Wallach says, “Give the body what it is genetically designed to have and it can do amazing things.” Whether you’re a human or a horse. Or an Emu :). To check out the products for us humans go to: www.joecamp.info. Click on “Buy Products” in the top menu bar… and type the product name in the search field. But please don’t buy anything until we’ve talked and all your questions have been answered. I’ll be happy to call and guide you through it. Also see: The Core Program.